91 Stephen Tanzer's International Wine Cellar Vivid red. Fresh strawberry and raspberry aromas are complicated by hints of dusty minerals and dried flowers. Racy and sharply focused, with vivid red fruit preserve flavors, silky texture and tangy mineral lift. Finishes clean and brisk, with powerful fruity thrust and no rough edges. 92 Wine Review Online I fell in love with this wine instantly. That may not be entirely surprising to those who know me, as I’ve probably written more about the Mencia grape than anyone based in the USA. However, I also showed it to two different groups of people at dinner parties, and everyone else loved it immediately too. For a wine that is just one year off the vine, it shows lots of juicy, primary fruit; and though it seems obvious that it would be assertively fruity at this early stage, the remarkable thing is that the fruit isn’t “obvious” in its character, but actually quite layered and interesting. It shows fresh, sweet-seeming tones, but also wonderful bright acidity, and these sensory signals are woven together by subtle savory notes that really provide an excellent sense of integration and completeness that is utterly unexpected in a wine of such youth. As a final testament to this wine’s captivating powers, a friend from one of the dinner parties--who had never heard of nor tasted Mencia before--showed up un-announced at our door the following evening, having just driven to a wine shop to find another rendition. She demanded that we open it immediately to try it--and it turned out to be Finca la Cuesta Mencia from Bierzo’s Luna Beberide (also imported by Aurelio Cabestrero). One more convert to Mencia! 92 Wine Review Online A tangy mélange of cherries, ripe fig, and pomegranate distinguish this charming red from Spain. A tug of both stony minerality and cedary oak contributes to the complexity, and the way the sleek, medium-weight body glides to a mellow finish lightly dusted with tannins is another reason to recommend it. 92 View from the Cellar The 2013 Adrás Mencía from Isaac Fernandez is outstanding. 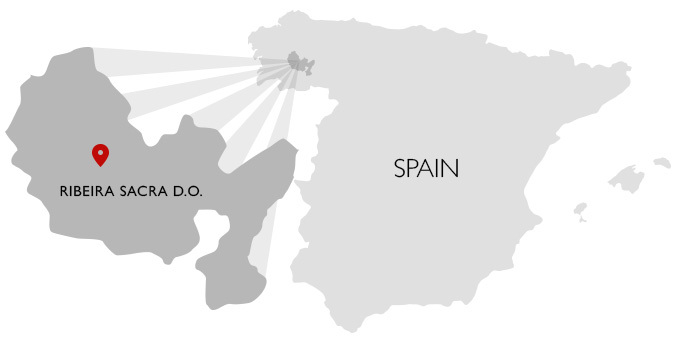 It is produced from classically terraced, fifty year-old vineyards towering up from the Miño River and spent five months in a mixture of new and old casks prior to bottling. The bouquet is deep, pure and very refined in its mélange of cassis, pomegranate, graphite, espresso, slate, cigar smoke, hints of the meatiness to come and a discreet touch of cedar. On the palate the wine is pure, full-bodied and transparent, with a lovely core of fruit, bright acids, moderate tannins and excellent focus and grip on the complex and perfectly balanced, intensely flavored and impressively long finish. This is lovely juice. 2015-2035+. 90 Wine & Spirits Magazine With slate scents and a burst of ripe red fruit, this Mencia is pure in its varietal expression. Soft in texture, it glides into the finish with grace and agility, leaving a light sense of sweetness and spicy complexity. 90 Stephen Tanzer's International Wine Cellar Brilliant ruby-red. High-pitched red and dark berry aromas, along with a minerally element and a suave floral overtone. Offers fresh black raspberry and cherry flavors complemented by suggestions of smoky minerals, anise and sweet vanilla. Supple tannins shape the finish, which leaves gentle oak spice and candied rose notes behind. This varietal Mencía was grown on fifty-year-old vines in decomposed slate and granite soils. The wine fermented with ambient yeast and was aged for five months in oak barrels. It’s a friendly wine, a little black-peppery but its soft raspberry and cherry fruit drive the style. The tannins are very modest although the oak feels appropriate. While I’d appreciate a little more nerve and acid the pepper kicks in again at the end, underscoring its suede-like tannins. 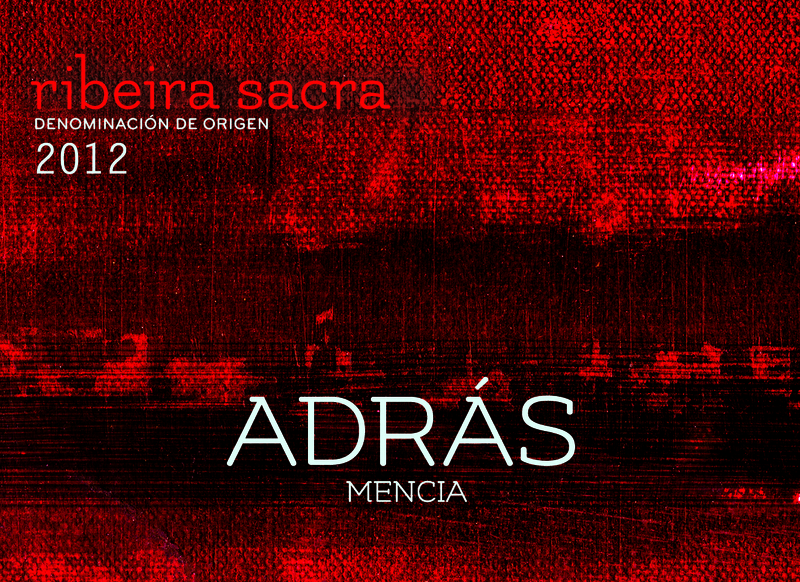 92+ View from the Cellar The 2014 Adrás Mencía from Isaac Fernandez is a lovely example of this fine region’s red wines. As readers may recall from the note on the 2013, this bottling is produced from classically terraced, fifty year-old vineyards overlooking the Miño River and spent five months in a mixture of new and old casks prior to bottling. The 2014 offers up a fine, complex nose of black cherries, pomegranate, chicory, coffee bean, graphite and toasted hazelnuts in the upper register. On the palate the wine is medium-full, focused and poised, with a fine core, lovely complexity and balance, modest tannins, good acids and excellent length and grip on the wide open, but still fairly primary finish. This has excellent intensity of flavor, while still staying light on its feet, with just a touch of tannin to carry it far into the future. A classic bottle of Ribeira Sacra Mencía. 2016-2035+. 90 Wine & Spirits Magazine Spice notes join this wine’s ripe red fruit, while slate aromas play gently, as background music. The voluptuous texture is rich in sweet ripeness, but also high in acidity and tension. A big wine for big food. 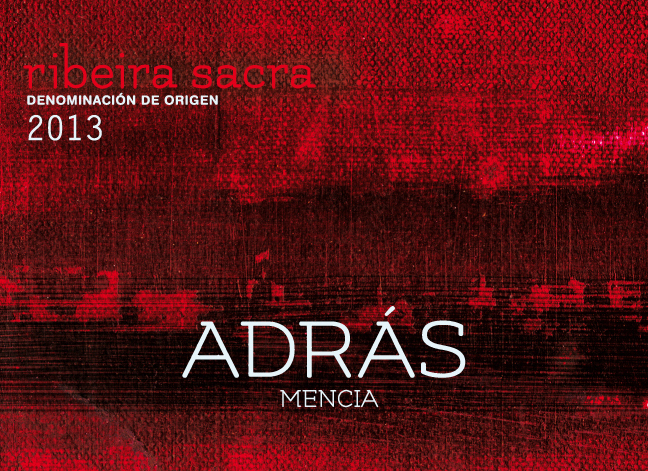 89 The Wine Advocate Similarly, the 2014 Adras Mencía also matured in barrels for some five months after fermenting in stainless steel with indigenous yeasts. The nose is quite attractive, with aromas of wild berries and leaves, hints of spices and earth. The palate is quite soft, with moderate acidity and a silky texture. Quite pleasant and approachable. 6,000 bottles produced. 92 View from the Cellar The 2015 Adrás Mencía from Isaac Fernandez is a fine youthful bottle in the making. As I mentioned last year, this bottling is produced from fifty year-old, terraced vineyards overlooking the Miño River and is aged five months in a mixture of new and old casks prior to bottling. The bouquet is bright and complex, wafting from the glass in a blend of sweet dark berries, espresso, graphite, pomegranate, lovely nutty tones and a smoky topnote. On the palate the wine is full-bodied and decidedly sappy at the core, with excellent transparency, modest tannins and outstanding length and grip on the nascently complex finish. This is certainly approachable today, but it is still a young wine and really will be singing with five or six years of bottle age! An excellent example, yet again. 2017-2040+. 91 Vinous Media (raised for seven months in neutral 225- and 500-liter oak barrels) Brilliant ruby-red. Perfumed aromas of fresh cherry and red berries, candied rose, licorice and smoky minerals. Juicy and seamless on the palate, offering bitter cherry and raspberry flavors that become sweeter as the wine opens up. Finishes on a suave floral note, displaying very good tenacity, delicate tannins and repeating red berry notes. There's something Pinot Noir-like going on here that's quite appealing. 91 View from the Cellar The 2016 Adrás Mencía from Isaac Fernandez is another excellent value, as it has been every vintage that I have had the pleasure to taste it. These fifty-plus year-old Mencía vines have succeeded nicely in 2016, offering up a fine aromatic constellation of cassis, pepper, espresso, graphite, a superb base of slate and a topnote of bonfire. On the palate the wine is pure, fullbodied and nicely sappy at the core, with impressive transparency, modest tannins and a long, tangy and complex finish. This is still a young wine and will gain in complexity with further bottle age, but it is very nicely balanced out of the blocks and already a pleasure to drink. Quite a classic example of the slightly more delicate style of Mencía planted on the terraces above the Miño River. 2018-2035.